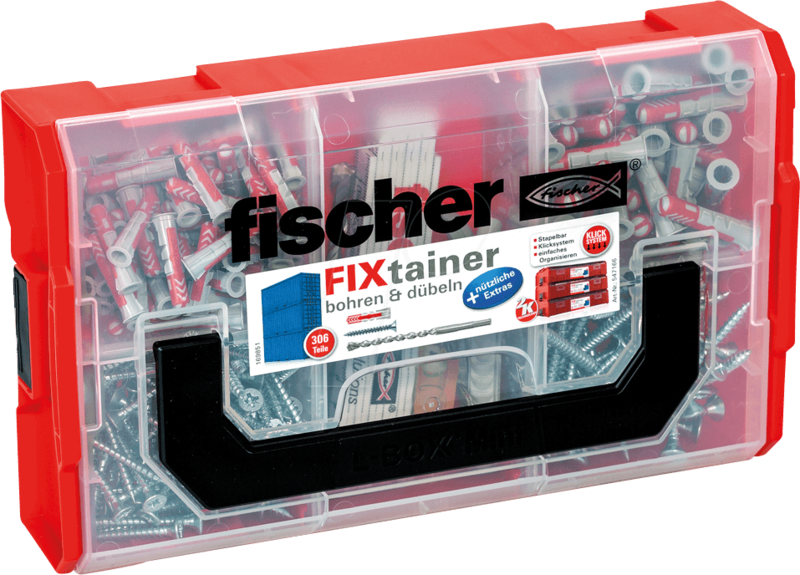 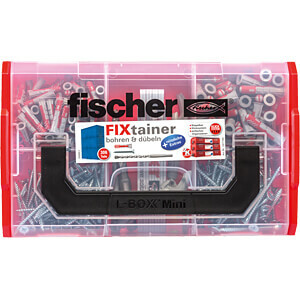 The fischer FIXtainer contains wall plugs, screws and hooks for most common applications and construction materials, all in a practical box that can be used universally. 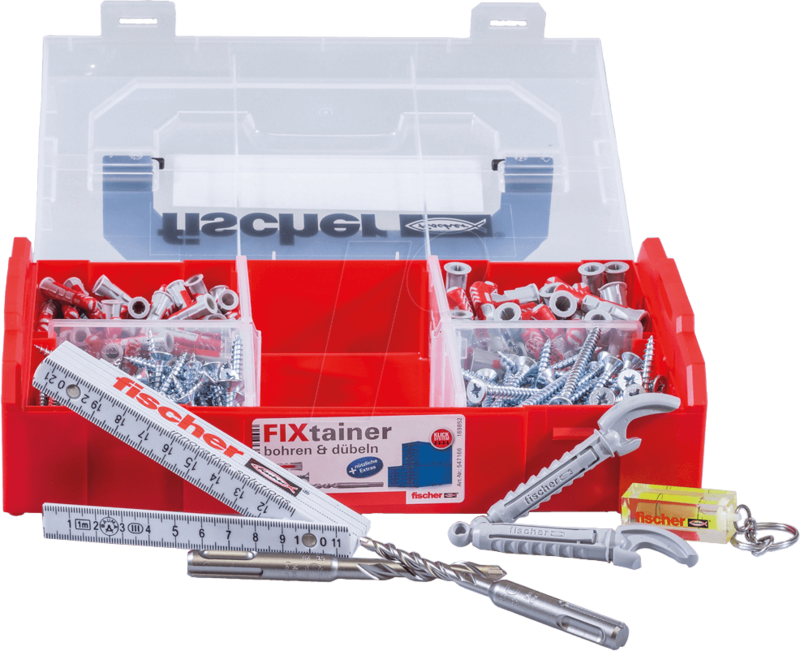 The components are perfectly co-ordinated to guarantee a secure mounting solution every time. 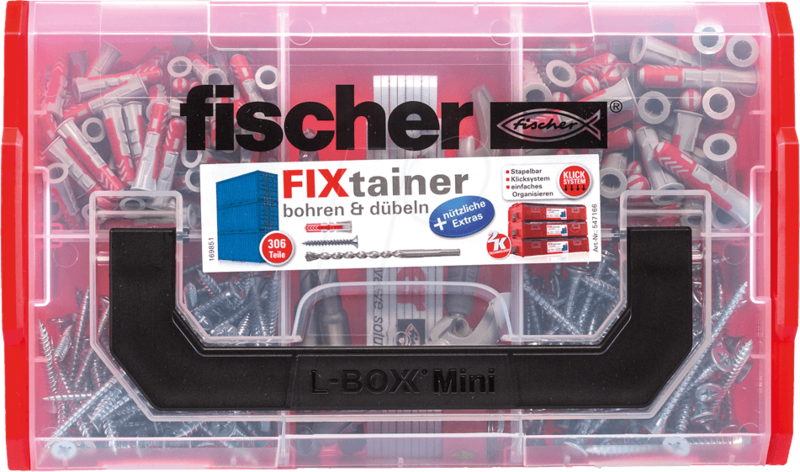 The transparent cover and separate compartments enable you to see the box contents at a glance. 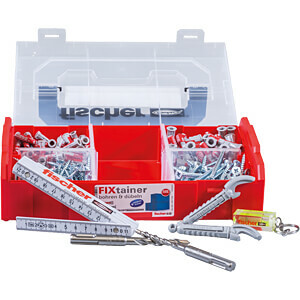 This saves time and ensures that you can easily choose the most suitable mounting component. 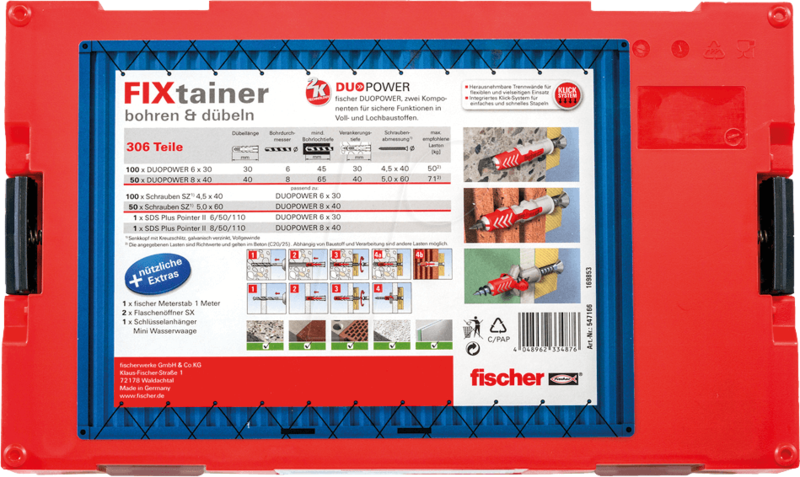 A description of how the wall plugs work and an overview of suitable construction materials is provided on the FIXtainer base for increased safety during installation. 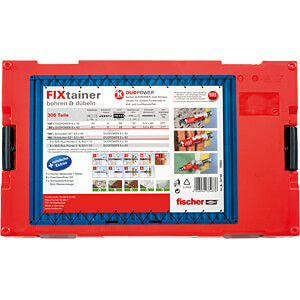 The fischer FIXtainer's large handle also makes it easy to transport. 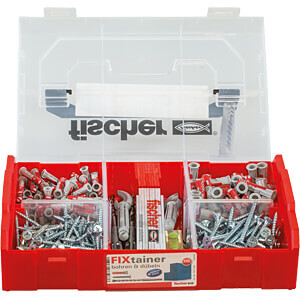 The click-lock system allows several boxes to be securely connected together. 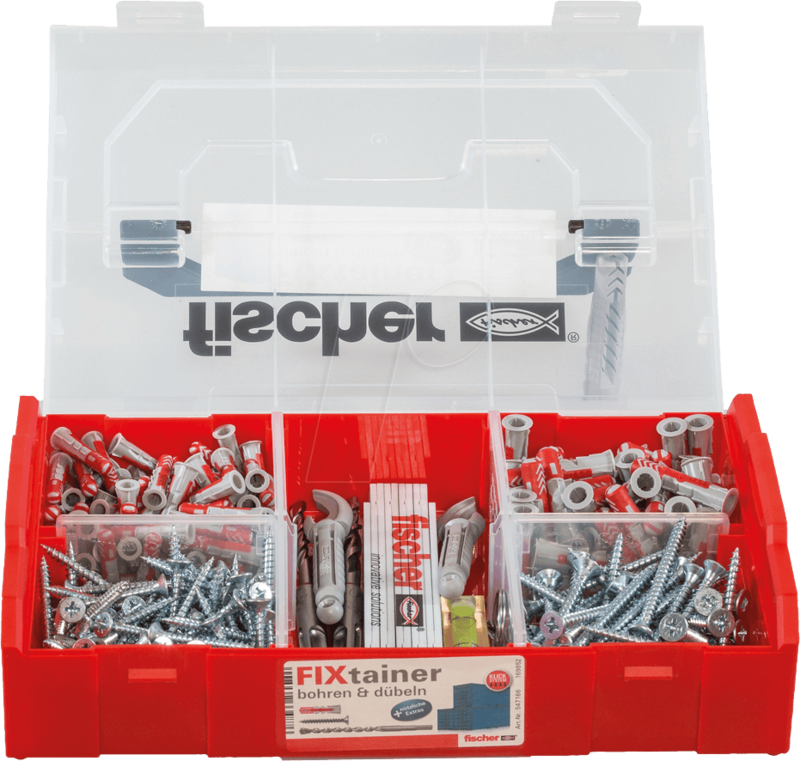 Removable dividers allow you to vary the interior partitions as required. 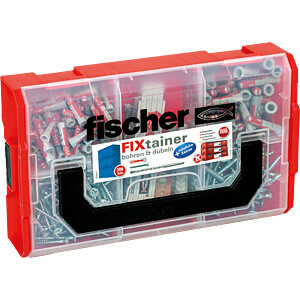 Useful extras: fischer pocket rule (1 metre), SX bottle openers and a mini spirit-level key ring.